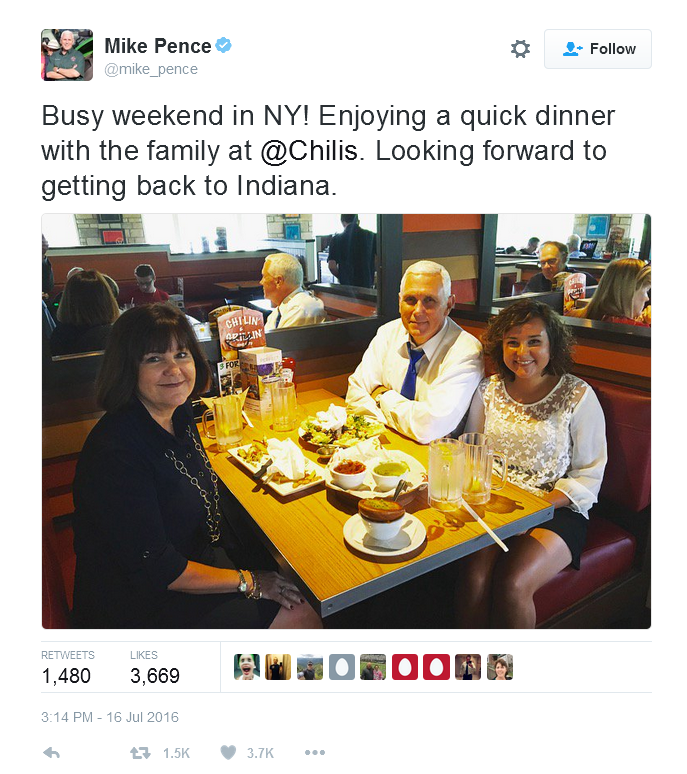 The above tweet was sent by Republican Vice Presidential nominee Mike Pence while he was campaigning for the 2016 Election in the United States... and, naturally, it was assumed his daughter was a vampire due to the lack of a reflection. Really. This copy of the image comes from the Imgur website [Link Here].